All you need is a USB flash disk to transfer transaction logs to your computer. It is that easy! Get up to 10000 fingerprint templates and 200000 transaction logs – more than enough to fulfill the require -ments of an SME. Treat your eyes to the new colour display on AC100C. The screen is now bigger, better, and clearer. 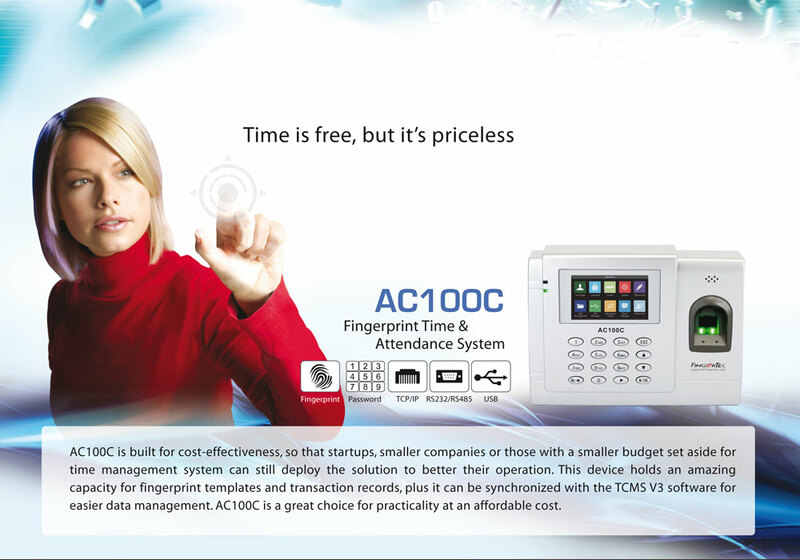 AC100C has icons that function especially for configuration which gives the whole device a more user-friendly feel. This model was designed to be economical so that you are able to implement FingerTec solutions at a lower cost. We believe that when it comes to security, there should be no compromise. The weakness of the clock-in card system is that ‘buddy punching’ can occur where one employee can clock in the time for another employee if any of them are late. Eliminate this occurrence by using the unique-per-individual fingerprint as a clock in card! VOICE / DISPLAY LANGUAGE (TERMINAL) English (Standard), Arabic, Malay, Indonesian, Chinese (Traditional), Chinese (Simplified), Cantonese, Thai, Spanish, Portuguese (Portugal), Portuguese (Brazil), French, Russian, German, Turkish, Persian. Other languages are available upon request. NOTE: Specifications are subject to change. 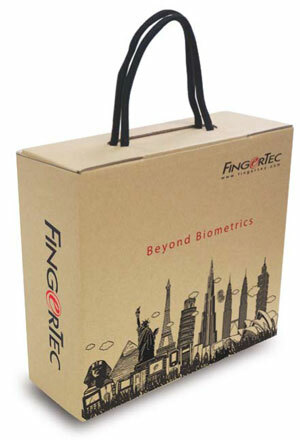 Check https://product.fingertec.com for latest product information.